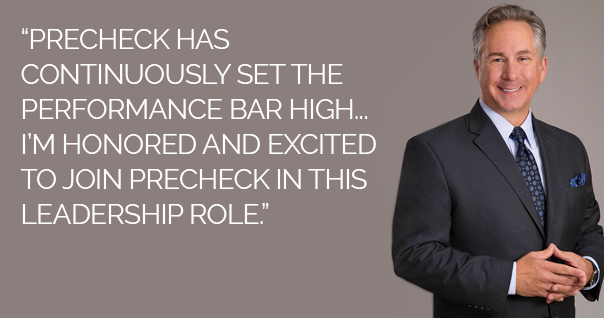 PreCheck, a healthcare exclusive background check and credentialing firm, welcomes background screening leader Darrin Fagan to the executive team. PreCheck, Inc., a background screening and credentialing firm specializing in the healthcare industry, today announced that Darrin Fagan has joined the company as Executive Vice President of Sales, Marketing and Strategic Partnerships. Fagan is a key addition to the executive team, bringing more than 12 years of sales leadership and experience in the background screening industry. As Executive Vice President of Sales, Marketing and Strategic Partnerships, Fagan will be responsible for the development and execution of PreCheck’s overall go-to-market sales strategy through direct sales and strategic alliance. Prior to joining PreCheck, in his most recent position, Fagan served as Vice President of Enterprise Sales, focusing on the healthcare vertical markets. Fagan successfully managed enterprise level sales and existing client expansion efforts for several of the top background screening companies. Fagan’s addition to the PreCheck executive team comes as the company celebrates 25 years exclusively serving the healthcare industry. For five consecutive years, PreCheck has been recognized as an Inc. 5000 company, which places the organization into the prestigious Honor Roll category, a distinction earned by fewer than 10 percent of honorees. Already in its third quarter, PreCheck is slated to set another record breaking year. For more information about PreCheck's background screening and credentialing services, visit www.PreCheck.com.